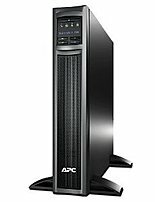 Apc Smx1500rm2u Rack-mountable Ups - Ac 120v - 1200 Watts/1500 V..
Apc Smart-ups Smt750 External Ups - Ac 120v - 500 Watts/750 Va -.. In this practical guide, author Siraj Raval explains why dapps will become more widely used—and profitable—than today’s most popular web apps. You’ll learn how the blockchain’s cryptographically stored ledger, scarce-asset model, and peer-to-peer..